It was a shocking crime in a wealthy Washington, D.C., neighborhood. Firefighters responded to a 911 call for a house on fire, but inside they found the bodies of three members of the Savopoulos family and their housekeeper, tortured and murdered. On Wednesday, jury selection begins in the trial of Daron Wint, the lone person charged in the gruesome 2015 crime, despite investigators repeatedly saying they believed multiple suspects were involved. "Could there have been a second person? Well, from an investigative standpoint I want to know," retired FBI agent and profiler Clint Van Zandt told the News4 I-Team. "If I was the defense attorney, I would really jump on that, because then you're saying, 'Well, it's somebody else.'" In addition to the Savopoulos family's mansion being set on fire in Northwest D.C. and their Porsche being found on fire hours later in Prince George's County, court records show a blue minivan known to be driven by Daron Wint was also found on fire in the days after the murders. The location where the Porsche was found is adjacent to an apartment complex where Wint and several family members lived. A key witness who spotted the Porsche during the hours in between when it left the mansion and was set on fire has added new details to his story to further suggest someone other than Wint drove the Porsche away from the scene. Another key witness in the case has a shocking connection to the suspect. Detectives had been searching for the Savopoulos family's blue Porsche 911 for much of the afternoon of May 14, 2015. They knew someone had killed husband and wife Savvas and Amy Savopoulos; their young son, Philip; and the family's housekeeper Veralicia Figueroa, and driven the car away from the mansion. It was found early that evening ditched in a New Carrollton church parking lot. Court records show the burned-out Porsche still yielded evidence. And, later, so did its location. "If you're going to burn a vehicle, you either have to have transportation to your next spot or you're going to walk there," said Van Zandt, who reviewed the details of the case for News4. Van Zandt said suspects often ditch vehicles in areas familiar to them. So when investigators found DNA from a pizza crust at the mansion murder scene matched to Wint, the location of the burning Porsche mattered even more, Van Zandt said. If you walk down through the tree line behind that church parking lot, you end up in the apartment complex where public records show Wint and his family lived for years. "You know investigators don't like coincidence,” Van Zandt said. “There's some link there." Retired Metropolitan Police Department homicide detective Susan Blue-Stanton agrees; she actually visited the scene where the Porsche was found. "Oh, very close," said Blue-Stanton. "It's an easy getaway, easy escape path." Blue-Stanton couldn't mask her sarcasm when the I-Team showed her yet another "coincidence" — never before made public — that investigators found a minivan with a connection to Wint on fire in the days after the murders. "Well, isn't that odd that his car was also burned," said Blue-Stanton. The blue 2002 Ford Windstar van was also found in Prince George's County, just a three-minute drive from the business where Daron Wint once worked, American Iron Works, where Savvas Savopoulos was the CEO. Prosecutors wrote in court records that police had arrested Wint while driving that same minivan less than two months before the murders. "When we see the second vehicle was burned just like the first vehicle, that stuff starts to add up," said Van Zandt. "That's a very helpful fact for the prosecution," added Glenn Kirschner, who recently retired as chief homicide prosecutor for the U.S. attorney's office. He didn't oversee the mansion murders case but reviewed the details for News4. 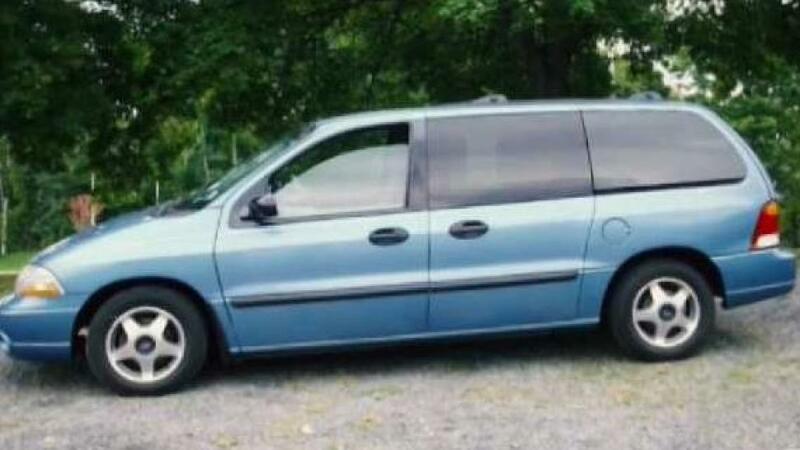 The I-Team found at least a dozen references to the blue minivan in the case file, including mention of a sealed search warrant and list of evidence investigators obtained from the van. Wint's defense attorneys unsuccessfully fought to keep prosecutors from using that evidence at trial. Prosecutors also noted at least seven surveillance videos from businesses near the intersection where the van burned. "I have always been amazed at what ATF is able to determine from a scene that seems to be burned beyond recognition," said Kirschner. “So that will be important evidence in the trial." So will testimony from a key witness who told police he saw the family's Porsche being driven erratically on New York Avenue between the mansion murder scene and the parking lot where it was found on fire. That witness always described a driver who looked very different from Daron Wint: a black male with a thinner build and short, well-groomed hair. But records show on July 31, 2018, that witness added another detail to his story. After he was interviewed by law enforcement, he saw a photograph of Savvas Savopoulos's driver, Jordan Wallace, on television and "thought the individual in that photograph resembled the individual he observed driving the blue Porsche." Public records obtained by the I-Team show, for years, the Wallace family also lived in the same apartment complex right near Daron Wint and the location the burning Porsche was found. "It's definitely worth looking into further and seeing if there's anything else that can tie anybody else to that house to those murders and just find out if there's something else," said Stanton-Blue. That eyewitness added "that it was also possible that his mind was playing tricks on him," but prosecutors thought the information was important enough to include in the case file and share with the defense team. The defense team has already stated publicly that it plans to defend Daron Wint by pointing to another suspect. Records show police questioned Jordan Wallace as a possible suspect, even obtaining a search warrant for his vehicle and phone, but did not charge him with anything.